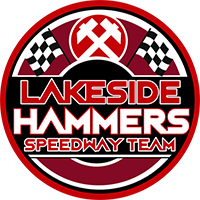 The Hammers provided a majority of heat winners but were unable to convert them into sufficient race advantages until the closing stages as the Comets took their chances when they arose. That was despite the visitors, already using rider-replacement for Dan Bewley, being reduced to five riders when skipper Ty Proctor crashed out in Heat 6. But with reserve Mason Campton taking seven rides and scoring every time, and experienced Dane Nicolai Klindt producing a series of trademark fast starts, the Comets still had enough to hold the advantage at the halfway stage of the tie. For the Hammers, Nick Morris was immense with 14 points and Richard Lawson only missed out once in five rides, with the pair combining for key 5-1s in Heats 13 and 15 to reduce an imposing eight-point deficit to just two, giving the Hammers a chance in Satuday’s second leg. The opening four races were all shared although both Kyle Newman and Alfie Bowtell hit the deck in the early stages of the meeting, with all three Hammers heat-leaders winning their opening rides. But a shock 5-1 from Klindt and Rene Bach in Heat 5 put the visitors ahead, although the Hammers hit straight back through Lawson and Zach Wajtknecht in the re-run of Heat 6 after Proctor’s crash. Morris worked hard to split Rasmus Jensen and Klindt in a Comets’ 4-2 in Heat 7 and Lakeside’s hopes of levelling matters two races later were dented when Newman suffered mechanical trouble at the start. Then Klindt and Jensen out-trapped Lawson for a costly 5-1 in Heat 10, and Ben Morley came to grief in Heat 11 leaving Morris to win for a 3-3. The Comets went eight-up in a disastrous Heat 12 when Adam Ellis was disqualified for breaking the tapes, with Bowtell falling again in the re-run, but Morris and Lawson gave the home side renewed hope with a 5-1 in Heat 13. Workington, however, secured their first leg win when Campton and Jensen secured a 4-2 in Heat 14, split by Morley, before another super 5-1 from Morris and Lawson in the final race at least pulled the gap back to two points. Nick Morris 13+1, Richard Lawson 11+2, Zach Wajtknecht 6, Adam Ellis 6, Ben Morley 6, Alfie Bowtell 1+1, Kyle Newman 1. 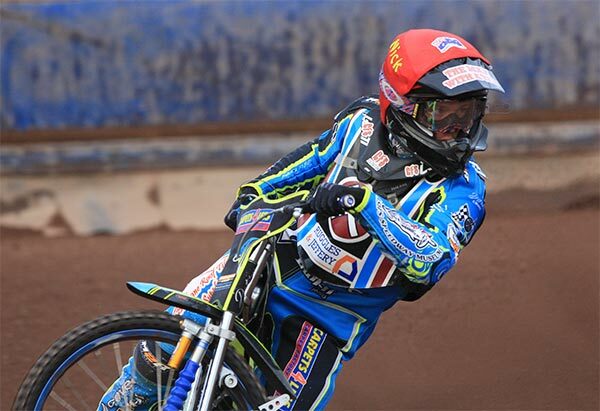 Nicolai Klindt 13+1, Mason Campton 12+3, Rasmus Jensen 10+2, Rene Bach 8, Kyle Bickley 2+1, Ty Proctor 1+1, Dan Bewley r/r.